Or speaking with a group of other speakers on a cruise ship? Imagine traveling on luxury cruise ships to exotic destinations all over the world with the potential of increasing your business network and net-worth as well as generating more money in your pocket! Why would you want to speak at the Hilton in Chicago when you could speak on a luxury cruise ship! Speakers have a passion and expertise for their topic area along with the need to help and serve people. My program Seminars @Sea cruise programs offers tools and support for you to, work, have fun and increase your profits all at one time. Frankly, if you do it right, you can secure your income for the entire year from this one Seminars@Sea programs cruise event. Seminars@ Seas program gives you the business opportunity and marketing to increase your seminar’s success beyond seminar registration sales. 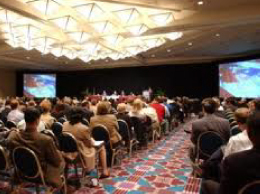 I have a proven system to monetize your Seminars@Sea event, beyond the small fraction of the income your seminar will generate. But for that to happen you have to have more than one revenue stream. And although most seminar leaders think of ticket sales to monetize their event, that is only a small fraction of the income your workshop should generate. 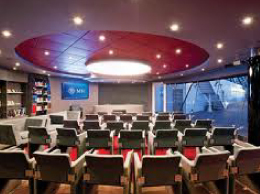 Book your Seminars@Sea cruise program with us and we’ll share the – Back Of The Room Sales – Top 5 Things To Sell At your Seminars@Sea cruise program to generate even more income! Whats your need? We can put you on a Seminars@Sea Cruise today. ** Make it a fundraiser cruise – most cruises will match funds for any fundraiser. AS FEATURED ON CNN, SEMINARS @ SEA IS GREAT FOR MANY REASONS! Why would you want to speak at the Hilton in Chicago when you could speak on a luxury cruise to exotic destinations all over the world with the potential of increasing your business network and net-worth and generating more money in your pocket! 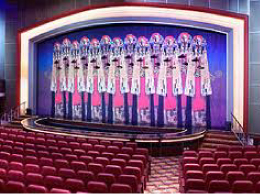 Cruise ships offers the all-inclusive meals, entertainment, presentation equipment and meeting space. Cruising builds in the social and excursion time needed to get a clear head, generate fresh thinking and share new experiences with colleagues. You’re not in a (dark) hotel ballroom … thinking, “Here we go again.” Speakers have access to amenities on cruise ships you might not otherwise be able to afford for a retreat– nightly entertainment, happy hours, floral arrangements, audio/visual equipment, and personally chosen meals rather than pre-planned banquet platters. 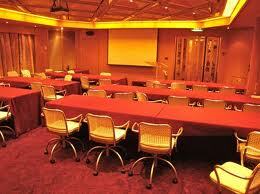 Save thousands on a meeting at sea!